Sometimes we surprise ourselves…I got into Babson, a moment I will never forget. I probably wouldn’t have been at Salve without you. We were amazed with the unbelievable award offer. You gave me hope that I could end up where I am today. You’ve changed my family’s life forever. We could not have done it without you! I am so thankful for all your guidance and wise advice. Sometimes we surprise ourselves. If you asked me 3 years ago, where and who I would be today as a freshman in college, I would have described myself in a way that doesn’t share any similarities with who I have actually become. All because I have surprised myself. About 3 years ago I had an epiphany and knew that I wanted to own my own car company one day. I finally rejected any doubtful thoughts pertaining to the feasibility of my dream. I was always a B average student, but I knew that was not good enough for greatness. I kept pushing myself in academics and on the track and never stopped reaching for greater levels. Two years after my epiphany, I applied to colleges and was fairly disappointed with the results. I ended up going to UVM. Walking into the school even on day one, it just did not feel like a comfortable place I could call home. 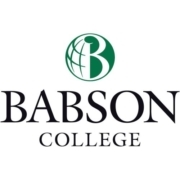 Luckily those feeling motivated me even more to attempt to transfer to the school of my dreams; Babson College. I kept pushing and with help and support behind me, I achieved it. I got into Babson, a moment I will never forget. I do not put any blame on UVM because it was my stepping stone. It let me learn about myself and gave me an opportunity to reach higher. Thank your Mr. Martin for all of your support and encouragement. Thank you so much that you’ve done for me. 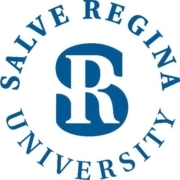 Honestly, I probably wouldn’t have been at Salve Regina without you. I appreciate you and the college planning staff so much. I love Salve and haven’t even visited home because I love it so much. School is going well. I am a cheerleader and participate in the Best Buddies program. The community has great people and I wouldn’t want it any other way. Without you, I wouldn’t be where I am today.Thank you so much and I hope all is well with you. I love college and never want to leave!! I am writing to thank you for everything your team accomplished on behalf of my son Clayton. His dream of attending Columbia has now been realized as a direct result of the work that you have done. I extend my heartfelt gratitude because this would not have been possible without your guidance and assistance in navigating the sometimes daunting process of applying to colleges. Quite honestly, I was not sure what services you could provide that would end in a more positive result than we achieved when we independently went through this process as our middle son was applying to college. When you met with Clayton to see which colleges he wanted to attend, you told him that he had to bring up his SAT scores to even be considered by an Ivy League school. He had already taken an SAT prep class prior to taking the exam in the fall, so I did not anticipate that his score would increase very much. You told him to take the on-line SAT prep that he could access through your service. He did not want to take the course again, however, with your encouragement and belief in him, you were able to instill the confidence and skill set that allowed him to increase his score by almost 400 points. An increase of that significance is very rare. I believe that the work that you and your team did had a direct impact not only on his increase in SAT scores, but also on the financial aid package that he was awarded. When Charles and I read the acceptance letter, both of our mouths dropped. 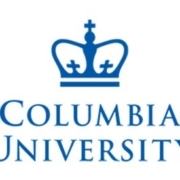 We were amazed with the unbelievable award offer that Columbia gave our son. Again, the sum total of your services has allowed a dream to come become a reality, and I look forward to working with you as he continues his undergraduate course of studies. I’m sure by now you’ve seen my financial aid package, and I wanted to thank you. When I got the first letter with my financial aid (the pitiful one) I cried because of despair, but when I got the second one, I cried for joy. In short, thank you for accepting my case. 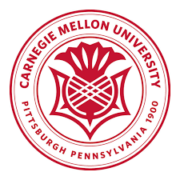 In the fall everything seemed stacked against me, but you gave me hope that I could end up where I am today and I’m thrilled to be going to CMU next year! The (slightly) less stressful experience, in regard to financials, is thanks to you. Now that things are all but final I wanted to take a moment to thank you both for all you’ve done, you are two of the nicest people I’ve met in a long time and you’ve changed my family’s life forever. It is pretty powerful to have that sort of impact in such a short time knowing someone. I can see why you take such pride and joy in what you do, it really shows in your actions and that is one of the main reasons I signed up for the plan which I am very excited about! I realize we were basically a 2-for-1 with you financially planning for two families, and I personally took quite a bit of time convincing, but that never stopped you from being patient, understanding and still willing to help!! That’s very commendable and you don’t find that often in life these days. All I can offer in return is my sincere gratitude and the ability to send other families your way so you can impact their lives as you did mine. There are three families that are very near and dear to me as they all helped me get back on my feet in one way or another after Lisa passed away. I have sent them all the link to your seminar on 11.1.12 and encouraged them to go get educated as I did. Keep an eye out for these great families and take good care of them as you did with me. Thanks again for all you’ve done and I’m looking forward to a lifelong friendship!! We heard back from the top two choices, which are really the only two that Isaac is considering. Brown asked for clarification about my student loans and then sent the revised financial aid award offer below. This seems to put things in range for us! At any rate, Isaac now has his mind made up on Brown. In fact, I just got back from Providence after dropping him off for an overnight stay offered to accepted students. Thanks for all your help with this! We could not have done it without you! Thank you for sending this clarification over to our office. 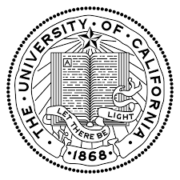 We were able to provide you with an additional $2,580 in University Scholarship for the 2015-2016 academic year. 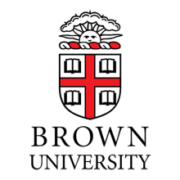 We hope this revised award will aid you in your decision-making process and that we will see you at Brown in the fall. If you have any questions regarding the above information, please contact our office. I wanted to say thank you for your advice, guidance, and motivation since my sophomore year. All of you helped me and my family immensely throughout the whole college application process. I am so thankful for all of your guidance and wise advice: I couldn’t have done it without you. Thank you for believing in me and seeing my determination to attend the college of my dreams. I am tremendously grateful for taking the time and resources to help me through the college process and I hope I have made you proud. I plan on continuing to do so by wholeheartedly pursuing my college education. I have enjoyed working with all of Advanced College Planning and am very appreciative of your generosity towards me. 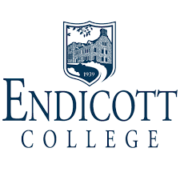 I will be attending Endicott College as an Exercise Science Major and I couldn’t be happier. I’m looking forward to seeing what my future holds. Thank you again for making it all possible.